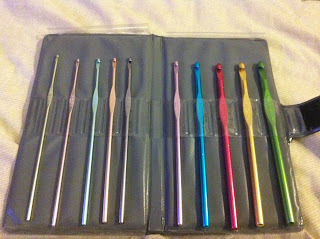 Hi my name is Rob and I am crochet hook addict I thought I show you all my crochet hooks. Went to a knitting and crochet gorup and pulled out my bag and everyone one was shocked of all my hooks and asked why I have so many so I thought I'll share why. These two hook type are Susan Bates hooks that a friend got me from the U.S few years ago and love them and my clovers whichh are great. 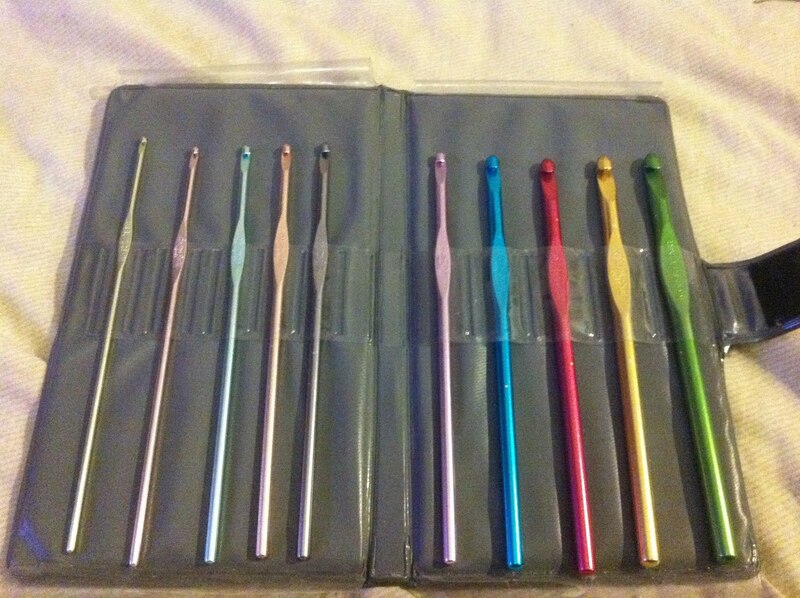 I see my crochet hooks as tools like a builder who has different type of tools for each job my hooks are the same. Susan bates are best for my amigurumi dolls and clovers are great for everything. Here are my bamboo hooks which I love too I use these mostly in winter I live by the beach and it really gets cold. My first winter by the beach I could hardly crochet my hand would go numb so a little research got me into bamboo hooks and never turned back. These are my handle hooks I hardly use these any more I bought these hooks when I broke my arm and slid in my cast (one did get lost in my cast but got it back after four weeks) and the crochet lite hook I bought because it was 50cents it is ok not to rave about. These are my boye and some other brand which is made in Australia which I bought when I first started crocheting. My steel hooks I think most of you all know what these are used for. My Cheap plastic hooks from years ago and never again they cheap and brake way to easy. Last photo these steel hooks seen better days I have gone thought so many of these steel hooks I hold my yarn to tight I think. I am not sure if you know about Ravlery. This is a wonderful resource. You need to sign up, it's free, and there are a million patterns on there for crochet...groups...and all kinds of great things I think you will enjoy. Hi Rob..Nice collection..I have lots of hooks also..I buy them at garage sales, estate sales. I think I have the makings of being a hoarder! Love your blog by the way. Hey dude! I don't like plastic hooks...I have two and do not use them at all. They bend while crocheting.....eeeewwww. I have yet to try bamboo but have the Boye and one Susan Bates hook that is vintage. I have hooks my hubbie made for me, lots of steel hooks, not many plastic..
Are all those hooks from you?? What very much!! !